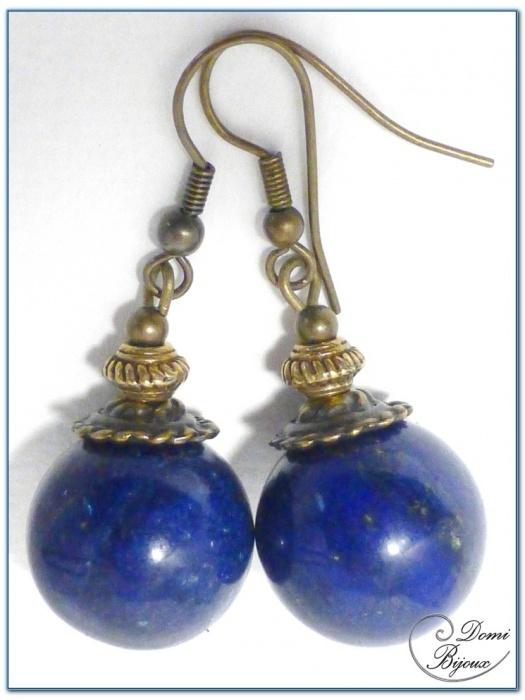 This fashion earrings bronze finish are made with lapis lazuli pearls of 16mm diameter, surmonted by caps and small pearls broze colour. 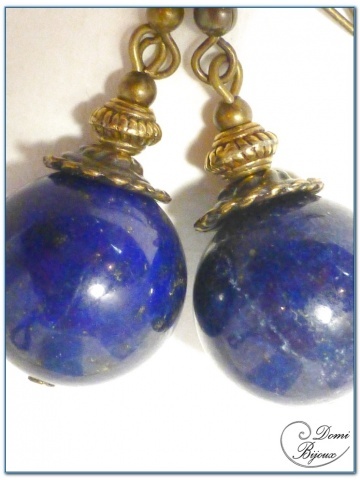 Lapis lazuli is used in jewelery since 6000 years. The hooks bronze colour are nickel free, so without allergies. This earrings are hand made like all our jewells. 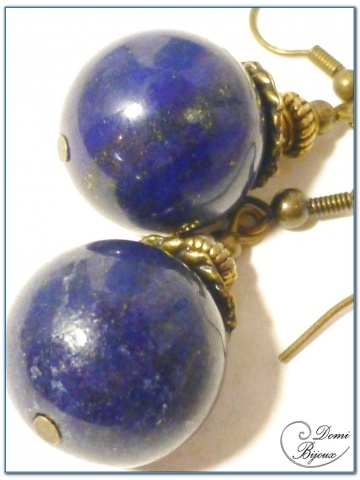 You will receive this earrings in a nice cloth pouch closed by a link, so to store them carefully when you don't wear.